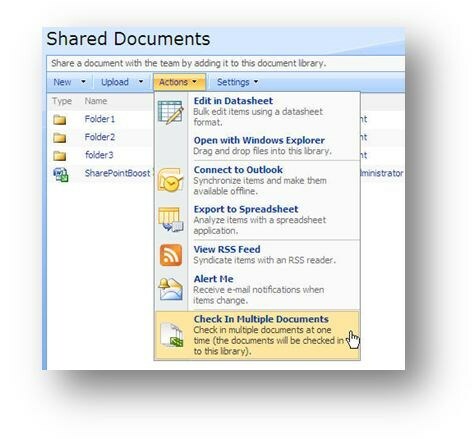 In SharePoint 2007 document library, there are several action can do batch work, like upload multiple documents (Go to Library Upload->Upload Multiple Documents) and edit/delete multiple documents (Go to Library Actions->Edit in Datasheet). 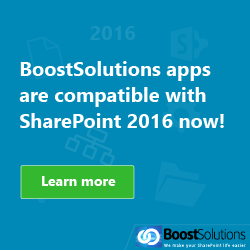 But checking in several documents all at once is not possible on SharePoint 2007. User has to go through every checked out document and check in them one by one – it’s nightmare if there is a huge number of documents to be checked in, which is common situation in a big company. To overcome this, and make this work easy, Sharepoint Batch Check In comes into the picture. SharePoint Batch Check In can check in any number of documents at one time (although if the number is more than 2000 or the size is more than 100MB, the browser may become slow) and allow user to batch edit the document properties, showed below. 1. Go to Action -> Check In Multiple Documents. 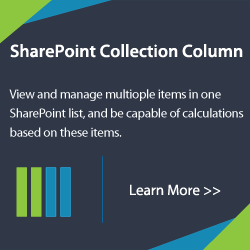 SharePoint Batch Check In will list all the checked out documents, their content types, in which folder and by whom it is checked out. Just click “Check In” button, SharePoint Batch Check In will do the rest. 2. 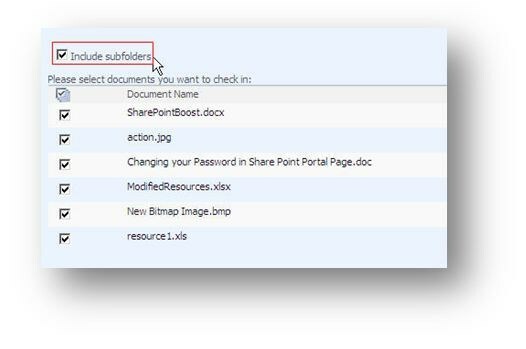 Tick “Include subfolders” to check in all the documents in subfolders. If user selects this option, this page will refresh and include all the documents in subfolders, so documents can be checked in recursively. 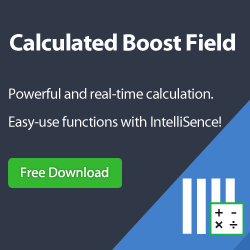 This function is very powerful, user needn’t open every subfolder to search the documents to be checked in, SharePoint Batch Check In does everything for you. 4. 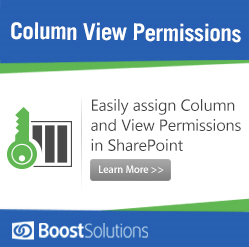 SharePoint Batch Check In supports content type. 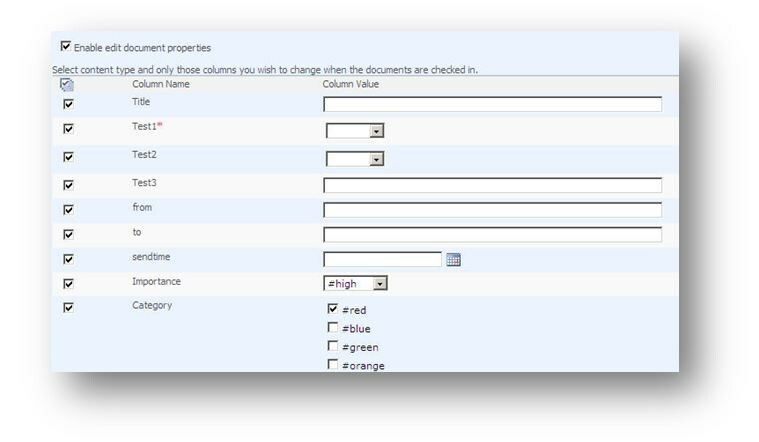 If documents to be checked in are of different content type, content type can be changed automatically. Say there are 5 documents, one content type is a Picture, and other content types are of Document, if user selects Document content type, then the picture will be changed to Document content type, isn’t it cool? At last, Batch Check In can also run on SharePoint 2010. SharePoint 2010 enhances actions in library, with SharePoint 2010, users can do more batch work, but more features are available in Batch Check In that SharePoint 2010 doesn’t have.